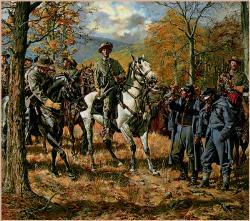 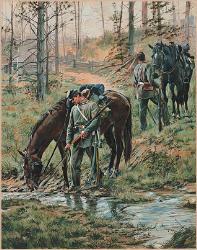 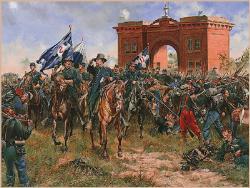 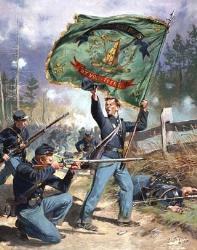 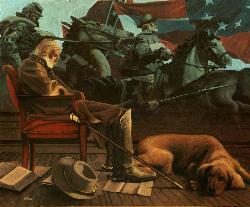 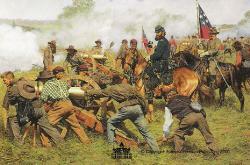 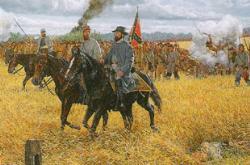 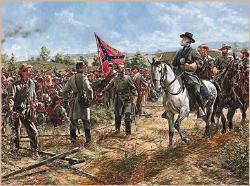 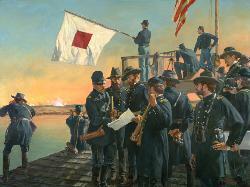 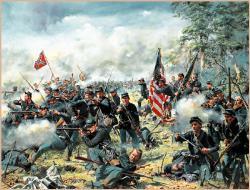 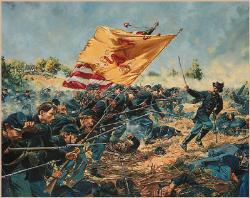 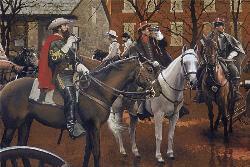 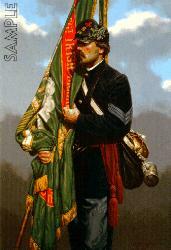 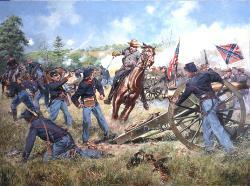 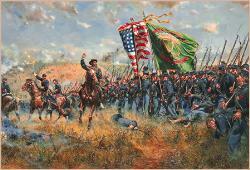 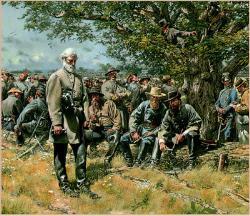 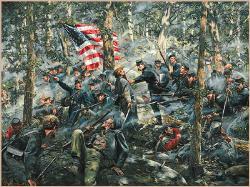 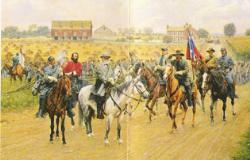 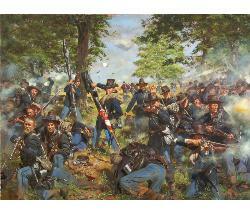 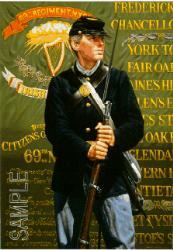 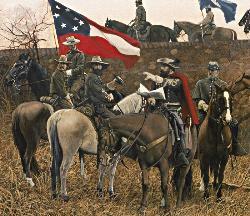 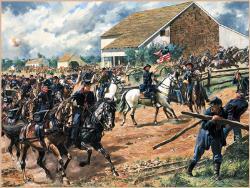 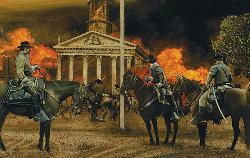 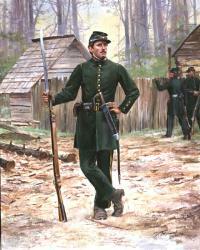 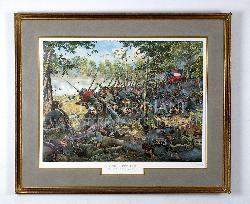 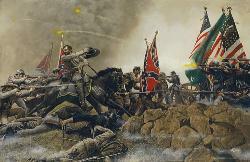 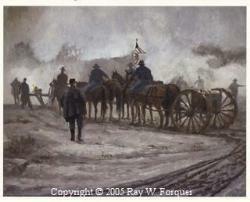 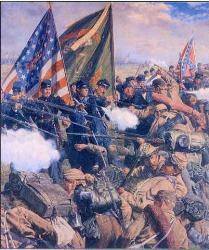 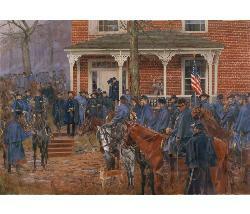 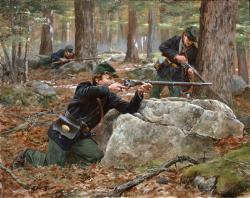 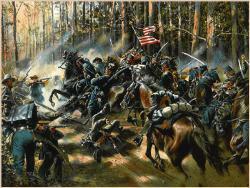 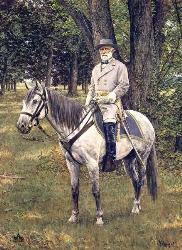 The Irish Brigade at the Battle of Malvern Hill. 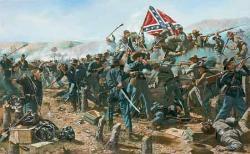 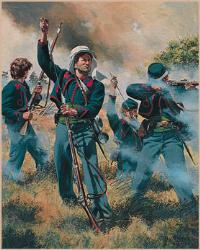 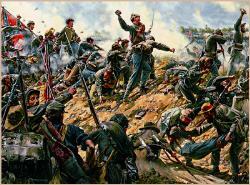 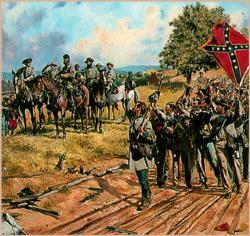 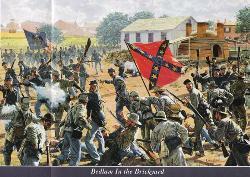 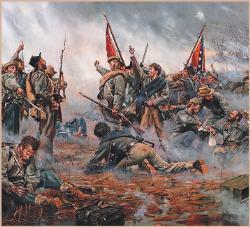 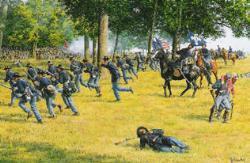 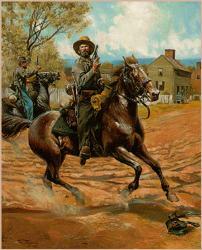 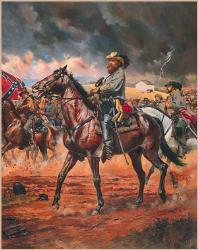 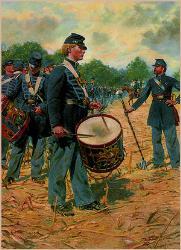 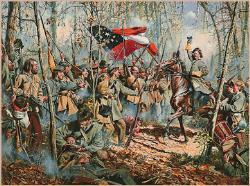 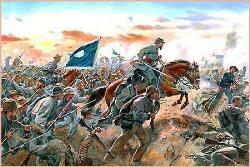 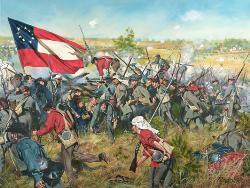 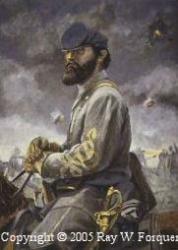 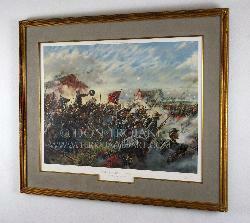 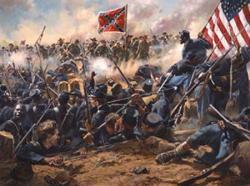 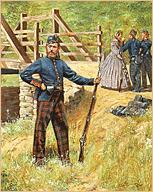 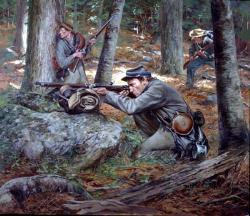 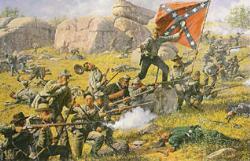 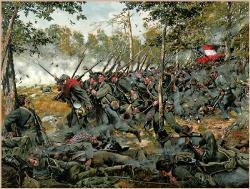 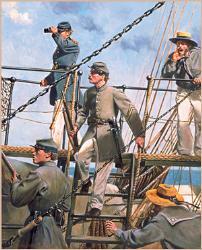 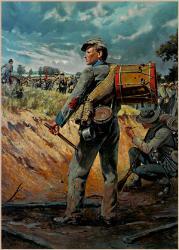 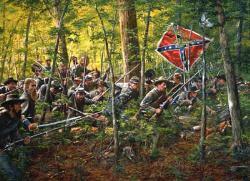 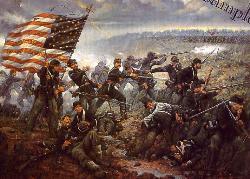 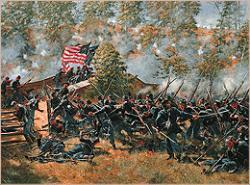 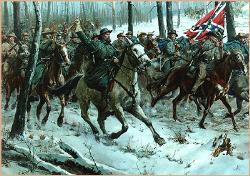 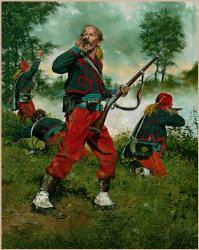 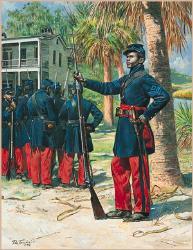 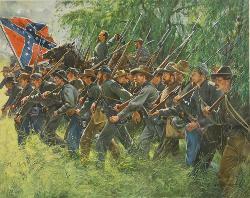 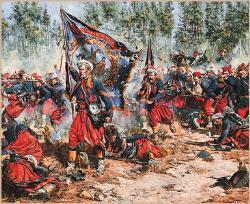 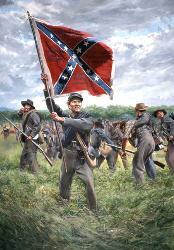 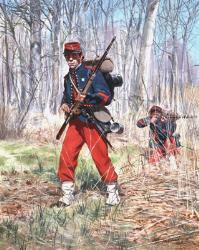 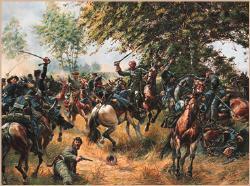 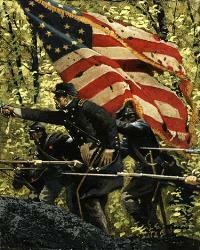 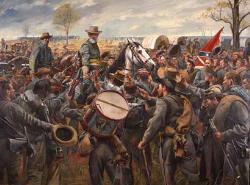 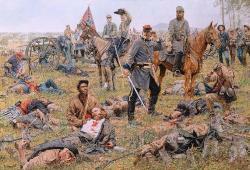 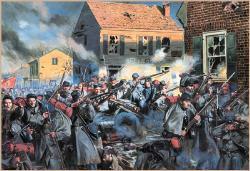 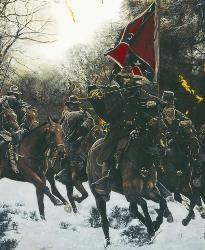 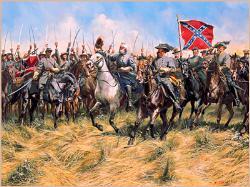 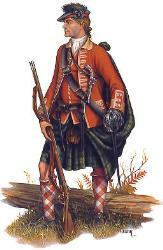 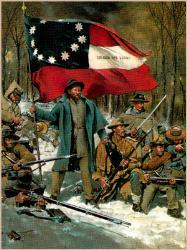 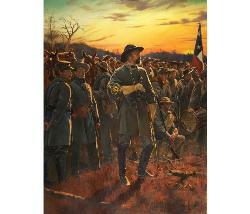 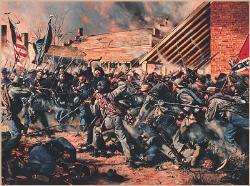 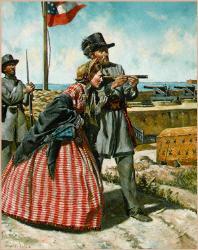 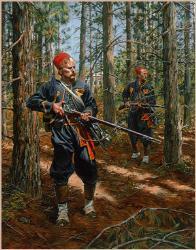 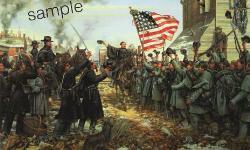 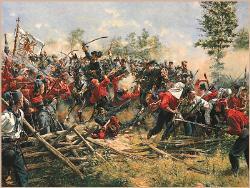 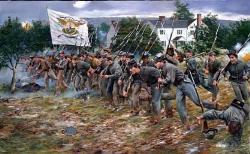 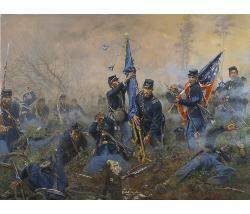 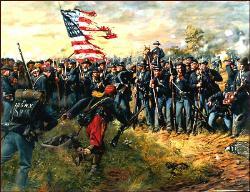 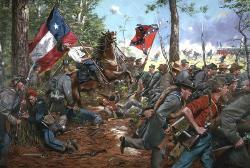 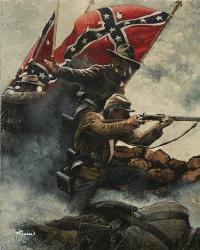 The famous fighting 69th NY regiment stormed down Malvern Hill screaming in Gaelic " Clear the Way!" 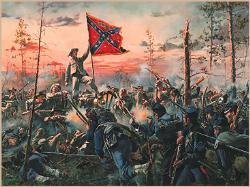 as they mixed it up with the rambunctious Louisiana Tigers. 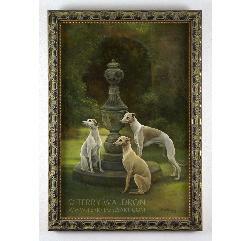 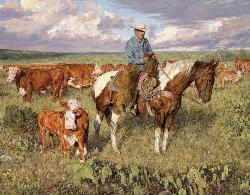 Image size: 20" x 22 1/2"